Your bathroom is an oasis. It is where you get ready in the morning and where you wash away the day every evening. 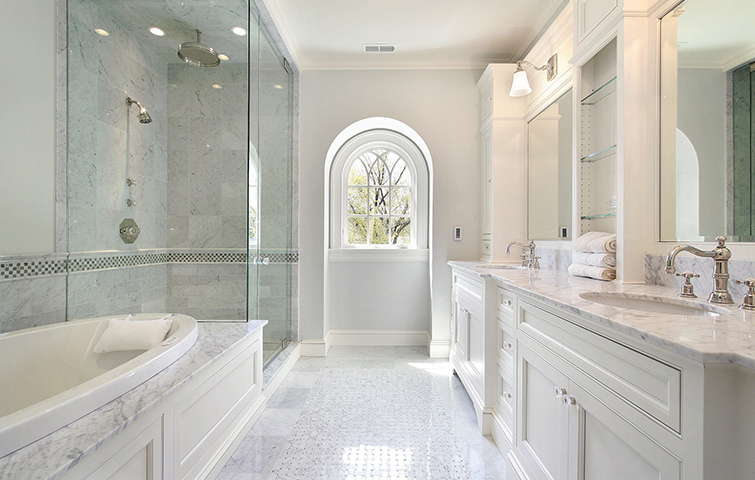 You want your bathroom to feel as luxurious and restful as possible. Open up your space and add to the overall value of your home. A great way to add a level of class and sophistication to your bathroom is with a glass shower door — or go all out and install a full glass shower. Whichever way you choose, trust the experts to get the job done right. Let the Springfield Glass Company handle your glass shower door installation! Say goodbye to your plastic shower curtain and say hello to a sparkling and sophisticated bathroom centerpiece. 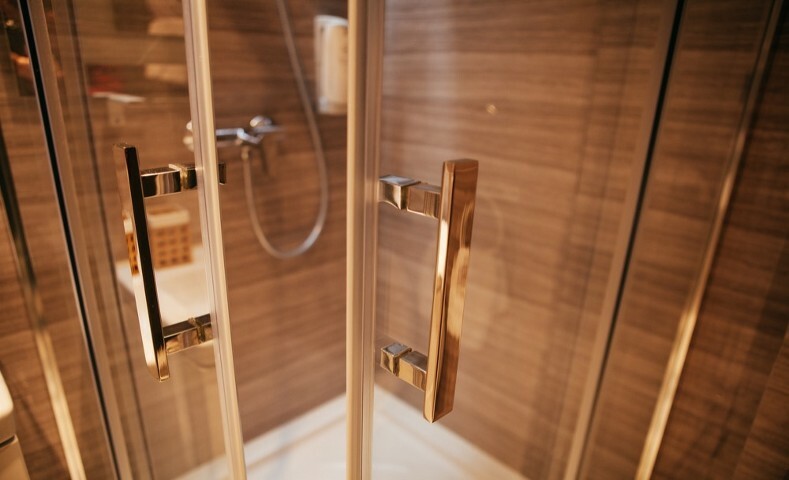 Whether you need just a glass shower door or would like an entire stand-alone shower with glass walls, our expert team will take care of everything to give you the bathroom of your dreams. Frameless glass showers have been increasing in popularity — they use heavier glass and discreet hardware to create a continuous, virtually frameless look to your shower. If that type of shower isn’t quite the look you are going for, framed glass doors and walls are also a popular look. Match the frame to your bathroom fixtures to create a cohesive look throughout your bathroom. You can discuss your design preferences when you meet with our glass shower door installation experts. Concerned about privacy with a glass shower? You can add privacy film or etching to your glass to add another layer of protection and give your shower a unique look. When you choose the Springfield Glass Company for your glass shower door installation, you choose to trust in over 30 years of experience in glass installation, repair, and design. Since 1985, Springfield Glass Company has made it our mission to provide the best glass services to the Springfield area and beyond. From residential glass shower door installation to custom commercial glass design, our glass experts will work with you from start to finish to ensure your design meets your needs while fitting the desired space. If you are ready to discuss your glass shower door installation needs, contact the Springfield Glass Company today. All of our glass comes with a one year warranty, with additional warranties available for an additional charge. Trust the Springfield glass experts and get a free estimate today. Contact our office at 417.883.6555.